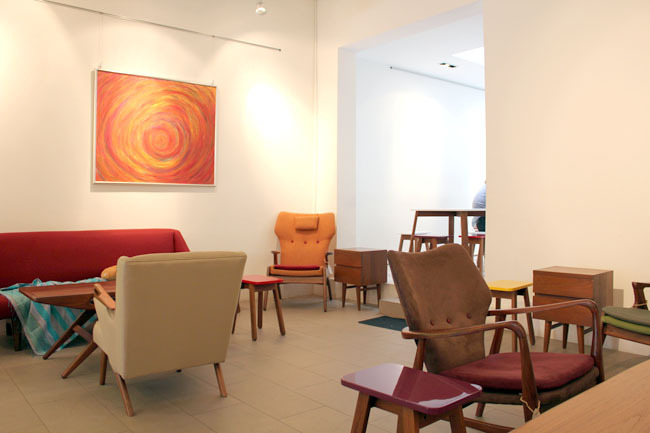 Drips Bakery Café has a space which reminds me of a living room space I always wanted to have. White washed wall, minimal furniture and colourful touches of decoration. While most other eateries would want to pack customers, this café has so much open space with inviting sunrays laminating the area. Tiong Bahru is no longer the same. There is Forty Hands. There is The Orange Thimble. And there is Drips – a place which feels most me because I value comfort. Of all the offerings, Drips’ tarts seem to be the most popular. 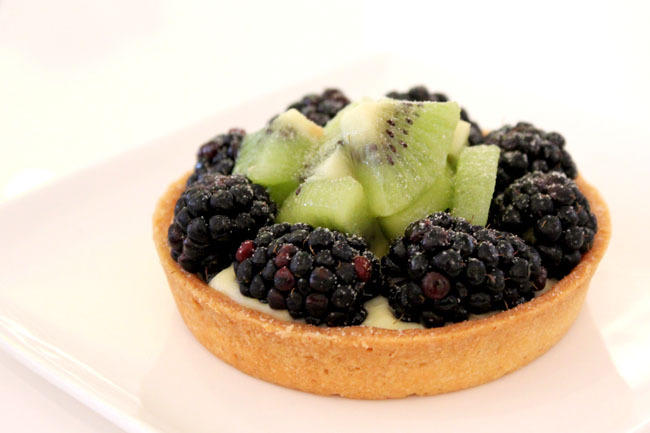 The Mixed Fruit Tart with blueberries and kiwis is such a pretty darling, with a soft crumply crust, cool cream cheese and very fresh fruits. 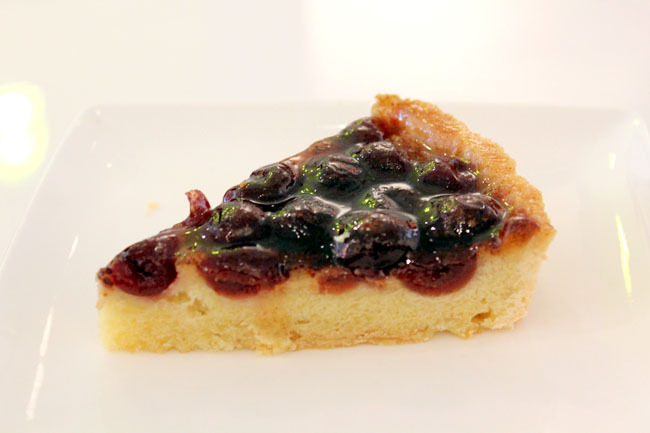 The Cherry Brandy Tart is another good looker with a deliciously light texture and touch of alcohol. I suspect its savoury items are not as impressive because a chicken pie I had was not even as tasty as the brand by the name of Pxxxr. Drips use only coffee beans from Graffeo, a San Francisco brand, for their brews. 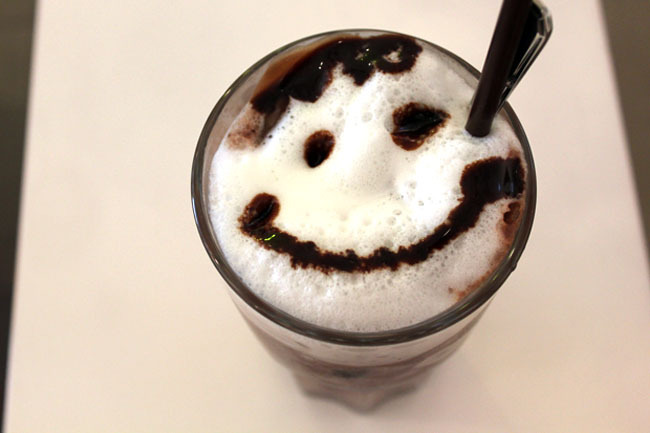 The ice chocolate was both memorable in taste and looks – a smiley face which made it a very happy drink. This is a birthday cake treat from CalvinTimo and we really enjoyed lazing away the afternoon discussing about Drips’ travel inspired décor, looking at its knick-knacks on sale, and flipping magazines. 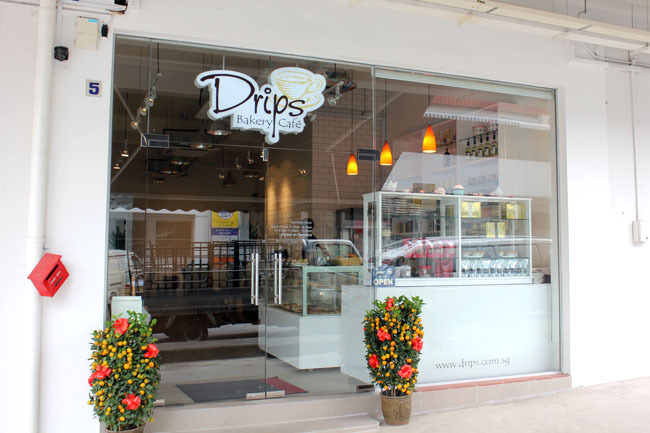 Drips Bakery Café feels like home. If I’m in Sg, then I’ll have to browse your blog for breads + desserts! Would love to try the Cherry Brandy Tart. I’m sure it taste as good as it looks! Off to Tiong Bahru! Awesome recommendation to cakes lovers! Will add them on my weekend must visit cafes! Awwww… Makes me wanna try the cakes too.